(by Nicholas Sakelaris, UPI) – — Highway crashes are increasing in four states that legalized recreational marijuana, a new study shows. Crashes are up 6 percent in Colorado, Oregon, Washington and Nevada, a joint study by the Insurance Institute for Highway Safety and the Highway Loss Data Institute shows. 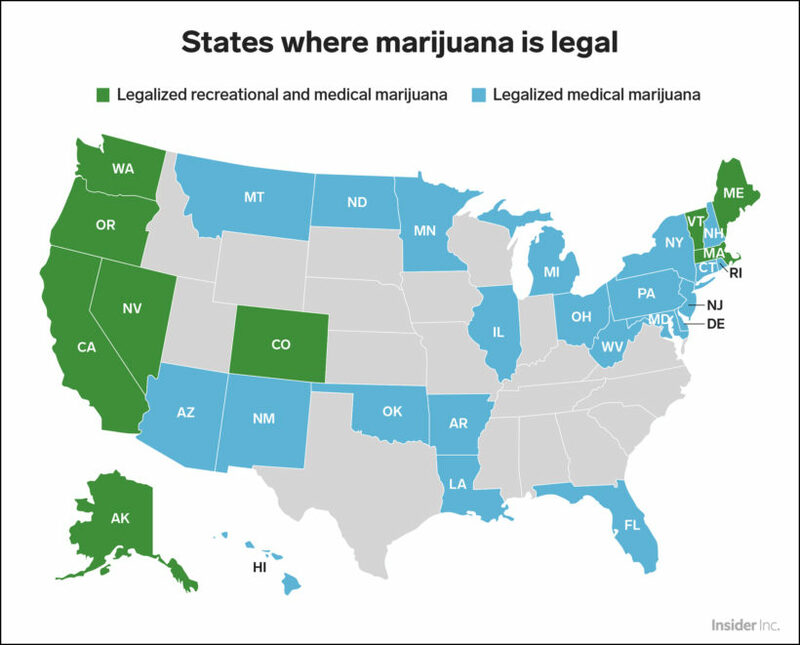 That’s compared to the control states of Idaho, Montana, Utah and Wyoming where recreational marijuana isn’t legal. The combined-state analysis is based on collision loss data from January 2012 to October 2017. Factors such as the rated driver population, insured vehicle fleet, urban versus rural differences, unemployment, weather and seasonality were all taken into account. But there’s no direct correlation because THC, the major active component in marijuana, remains in the system long after use. That makes it more difficult to determine if the driver was under the influence while driving, said Highway Loss Data Institute President David Harkey. Driving under the influence of drugs is illegal in all 50 states and Washington, D.C. Oftentimes, drivers who are tested for alcohol have other drugs in their system, not just marijuana, making it harder to isolate. “Despite the difficulty of isolating the specific effects of marijuana impairment on crash risk, the evidence is growing that legalizing its use increases crashes,” Harkey said. The data show legalizing recreational marijuana use has a negative effect on road safety, Harkey said. “States exploring legalizing marijuana should consider this effect on highway safety,” he said. Nine states and the District of Columbia have legalized marijuana for recreational use. And 30 states have legalized marijuana for medical purposes, with Oklahoma being the latest to join. Legalization for recreational use is pending in New Hampshire, New Jersey, New York and Pennsylvania. Michigan and North Dakota will have referendums in November. Missouri and Utah could expand medical marijuana, also in November. …Canada legalized recreational marijuana nationwide Tuesday, becoming the second country in the world to do so. It’s still up to individual provinces to decide age limits and how much people can buy and where. From UPI .com. Reprinted here for educational purposes only. May not be reproduced on other websites without permission from United Press International (UPI). 1. What did a study find about the connection between a state’s legalization of recreational marijuana and the number of highway car crashes? 2. a) List the states that were included in the Highway Safety study. 3. What factors were considered in this study? 4. Why is it currently not possible to determine if drivers that caused a car crash were under the influence of marijuana? 5. a) What conclusion does David Harkey of the Highway Loss Institute make about the legalization of marijuana? b) What recommendation does he make? b) What do you think: should the results of this study make a state that is considering legalizing recreational marijuana a “no-brainer”? Explain your answer. 7. Consider this study linking car crashes to marijuana legalization. Read any/all of the following articles detailing the negative effects of recreational marijuana. a) What responsibility do lawmakers in your state have to vote against the legalization of recreational marijuana? b) What responsibility do voters in your state have to vote against the legalization of recreational marijuana? What is the difference between decriminalizing marijuana and legalizing marijuana? Legalize means to make something legal that was previously against the law. NOTE: The Highway Safety study was conducted in states where marijuana had been legalized.